eBusiness Assets is an excellent marketplace for the entrepreneurs to discover their passion through interesting digital business opportunities. It is an ultimate destination for buying and selling online businesses at the best price with an easy funding option under one roof. Buying an established online business instead of creating a new website from scratch is trending in today’s age. If you have that little skill and passion to run a business and take it to a new height, EBA is the ideal platform that lets you dive into your passion. The businesses listed on our website are 100% evaluated and verified by our business consultants to make them available at the best price. Meet qualified digital enthusiasts who are willing to invest in your established web-store and make money out of a business which you don’t wish to run anymore. We have a team of qualified full-time experts who have hands-on experience in the fields of selling and running the business online. Simply set an appointment with our finest business consultants to learn more about the process and discuss your business ideas today! 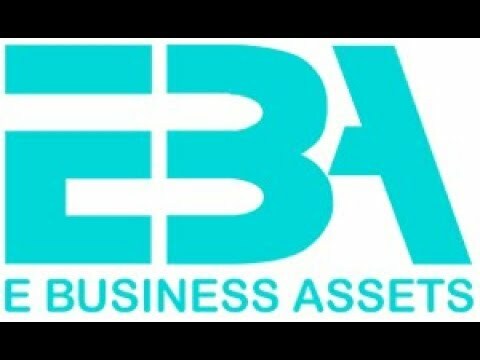 What makes EBA stand out in the industry? EBA has a wide range of established websites listed ranging from small to mid-level. All the businesses are well-established with a stable operating status. The existing websites listed on EBA have consistent traffic that generates monthly sales and revenue. Enjoy a hassle-free business acquisition support throughout the process. Get free training by our consultants to manage and run the business like a ‘Pro’. Get access to the Analytic reports and financial history of the business. Each business has a ready-to-use customer database. EBA offers financial support to all start-ups and established businesses for expansion. Get immediate assistance from our consultants for anything related to the business and marketing. Turn your passion into profit with eBussiness Assets. Finding the right business or creating one from the scratch can be a difficult and time-consuming process. With over 100+ listings for sale on eBussiness Assets, we’ve got you covered. All you have to do is, log-in into our website and register to buy an existing e-commerce website that matches your interest. After you have found that perfect business to own, our customer support representative will get in touch with you according to your convenience and will help you take control of your asset and manage the asset in an appropriate manner. Moreover, through our eBusiness Assets website, you can browse through a wide range of categories to look for an ideal website that you would like to invest in. eBusiness website contains various existing and active e-commerce websites ranging from high financial history and huge traffic data to low financial history and comparatively lower traffic data. There are multiple businesses listed on the website wherein you can either invest in a website that has a history of a high revenue or low revenue according to your budget. The website that is currently not doing great, it may require an excellent marketing strategy to escalate the business towards higher profit. You can get in touch with our team to know more about the business you’ve shown interest in. Once you have decided to invest in a certain existing website, you will be directed to the merchant service provider to complete the transaction process. We will take you through the business acquisition process and see that the entire process does not take much time. The secret behind any successful business is strong internet marketing skills. It is essential to market your business to promote your products and services. Until and unless you apply the right technique that works for your business, it’s difficult to expand or take your business further on a large-scale. We have a dedicated team of Internet experts who will help you in implementing various online marketing tactics while building conversions. Our websites will be having an inbuilt feature to help you manage your online business regularly. The team of our experts will support you from the back-end to carry out all the tasks related to Inventory, Shipping, Sales sheet, and a FREE 2 months complete marketing services. You can further make any kind of amendments to the website according to your requirement once you have received the ownership. eBusiness Assets offer Business Consulting service with efficient consultants who will get strategically involved with your team to assess, evaluate and expand your business. We have in-house business consultants who are good at analyzing businesses in a manner that you gain utmost profit out of it. Our aim is to penetrate deep into the areas of weakness and suggest solutions for the development of your business that generates higher sales and conversion for you. Sellers who want to make money out of their e-commerce business which they don’t wish to run anymore should login into eBusiness Assets site. You can either take help of our website evaluating team to set the selling price for your store or else you can quote your business on your own. List your website in no time by simply paying a listing fee to successfully list your business for sales. Once the buyers will come across your listed business, they will contact you via email for more information on your business. Gear up to get qualified buyers for your business after the completion of ownership transfer. Our ideal candidate is someone who is prepared to purchase an existing, profitable business whether its via liquid capital or they possess the credit stability to support their purchase.